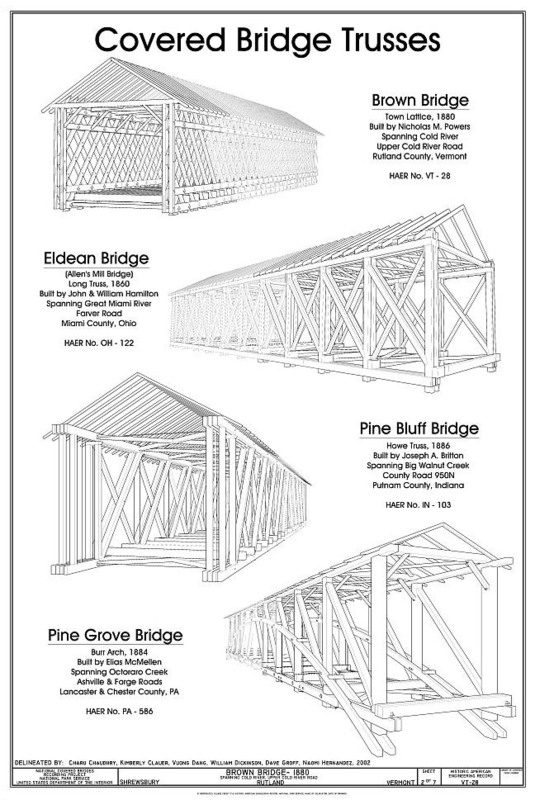 Documented 89 covered bridges to HAER standards, carried out engineering studies of truss types, and created fly-through tours of some bridges. Produced a National Historic Landmark (NHL) context study and successfully nominated seven covered bridges as National Historic Landmarks. Held two national conferences and created a traveling exhibition. 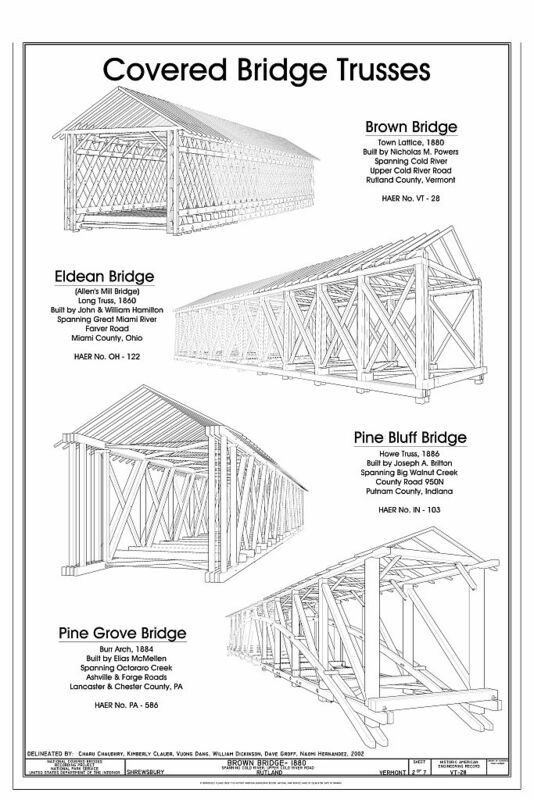 Published Covered Bridges and the Birth of American Engineering. The work under this initiative continues with additional engineering studies and NHL nominations, educational models, and a publication on guidelines for the rehabilition of covered bridges. This work has been carried out under the leadership of Christopher H. Marston, HAER Project Leader; Justine Christianson, HAER Historian; and Richard O'Connor, Chief, Heritage Documentation Programs. For additional information, please contact Christopher H. Marston at christopher_marston@nps.gov or 202-354-2162.